Matte fiddled (with his camera) while America burned. OK, i couldn’t stand it. 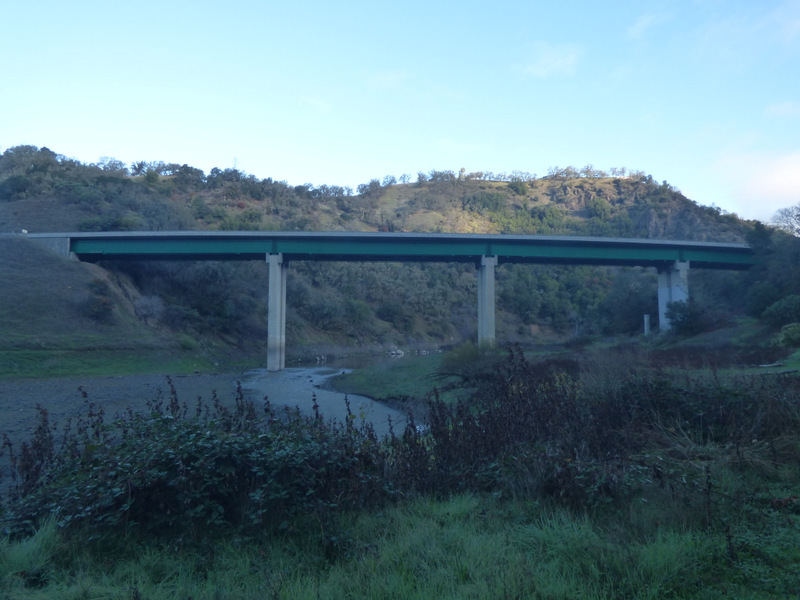 Having learned of the existence of the East Fork of the Russian River and that it’s now the primary source of water for the upper three-fourths of the Russian River, i had no choice but to drive back up there and photograph the bridges over the fork. 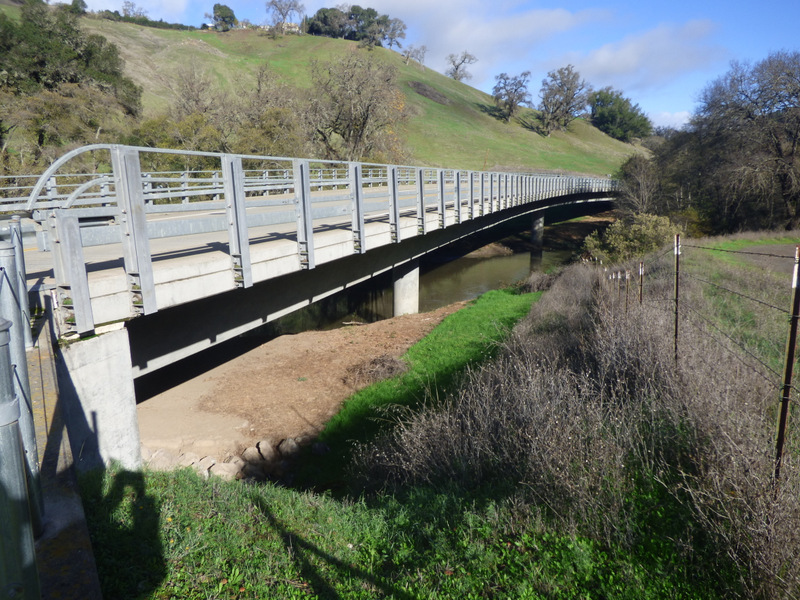 And while i was at it, i thought i’d go ahead and photograph some non-bridge bits of the Potter Valley Project and try to get better shots of some of the bridges i photographed so badly on the previous expedition. 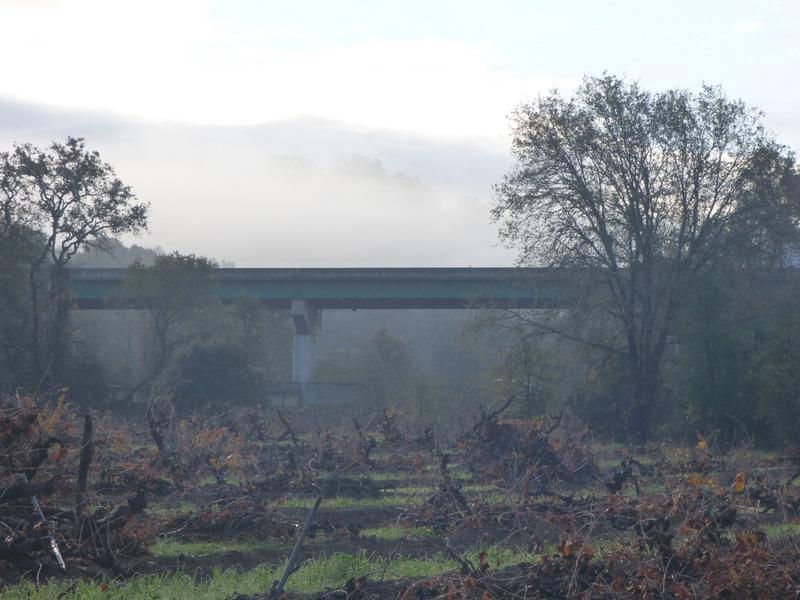 This time i set out at 6:00 AM in heavy fog, so heavy that it was barely lifting by the time i got to Ukiah. Let’s get smart here, i thought, and let the fog dissipate while i kill a little time having breakfast. 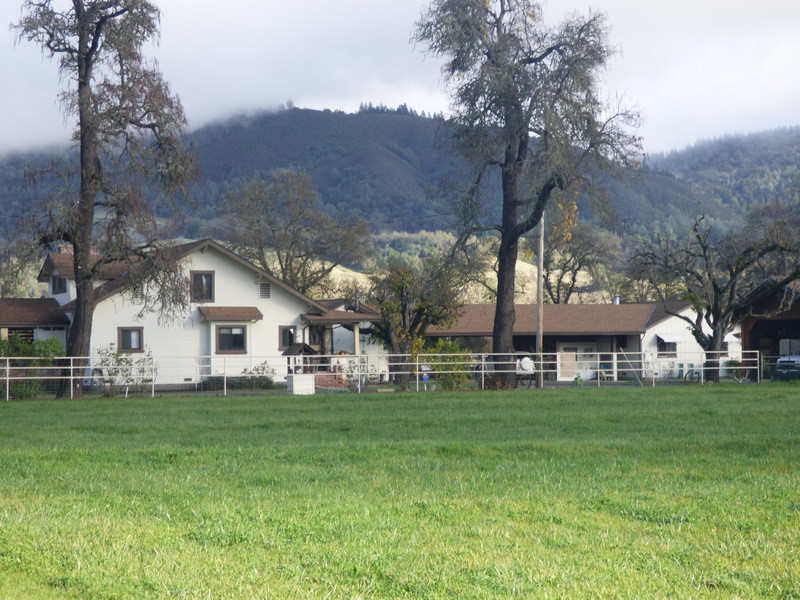 So i took the downtown exit for Ukiah in the expectation of finding a quaint little cafe where i could bash Hillary with the natives while i nibbled some scrambled eggs and toast. Ha! I drove all over downtown Ukiah and spotted nothing open but a Denny’s. Oh please, so i dove into this little donut shop, where i was pleased to see along with the indifferent donuts some croissants stuffed with ham and cheese. Great. And then the guy asked if i wanted it heated up, and thinking of my fondness for sticking Lola’s flaky croissants into my little toaster oven, i said yes. When he handed it over, i discovered that he’d stuck it in the microwave. Do you know what happens to a ham and cheese croissant that’s been microwaved? Gummy. So back on the road to the CA-20 exit, where this time i found a tiny little dirt road leading down to the river from which i got a slightly better shot of the CA-20 bridge while fretting over getting stuck down there and having to call USAA road service and then explain to the tow truck driver what the hell i was thinking when i took the Prius into the quagmire. 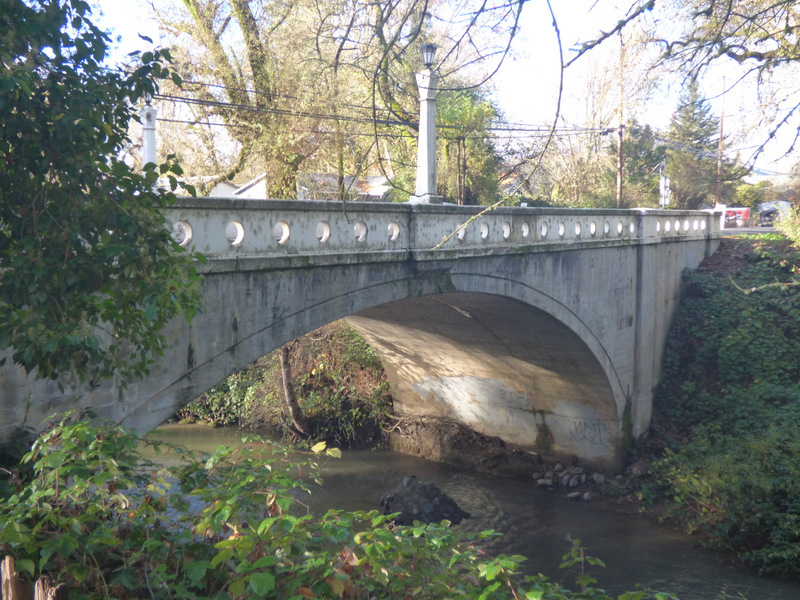 And here’s a shot of the very beginning of the bridge from the east end. 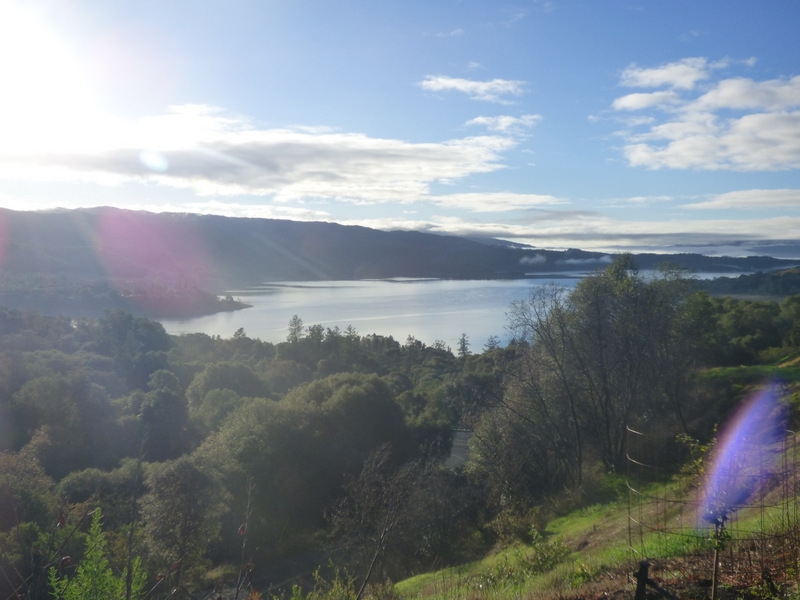 Then i headed a few miles east on CA-20 to get the first bridge over the East Fork, but since i’d resolved that on this trip i’d stop periodically to smell the scenery, here’s a shot of Lake Mendocino, which they formed by damming the greatly enhanced East Fork just west of Ukiah. It’s low now since it’s drawn down severely in the summer and recharged in the winter. That blue thing is some stuff stuck on the fencing. Crop it out? Naw, truth in photography. 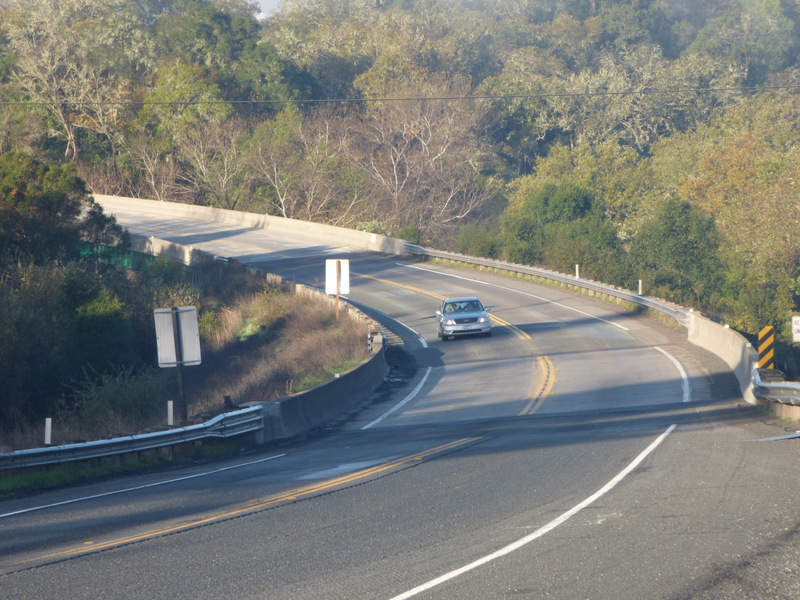 Here’s a shot of the bridge over the East Fork just west of the lake. Ansel would have waited around until the sun came over the mountain to the east, but he had patience. Closer. You can see from the water mark that when the lake fills, it extends an arm under the bridge. And now, off north onto East Road for the next bridge. I took this shot on the way back down after the sun was higher. Truth in chronology. 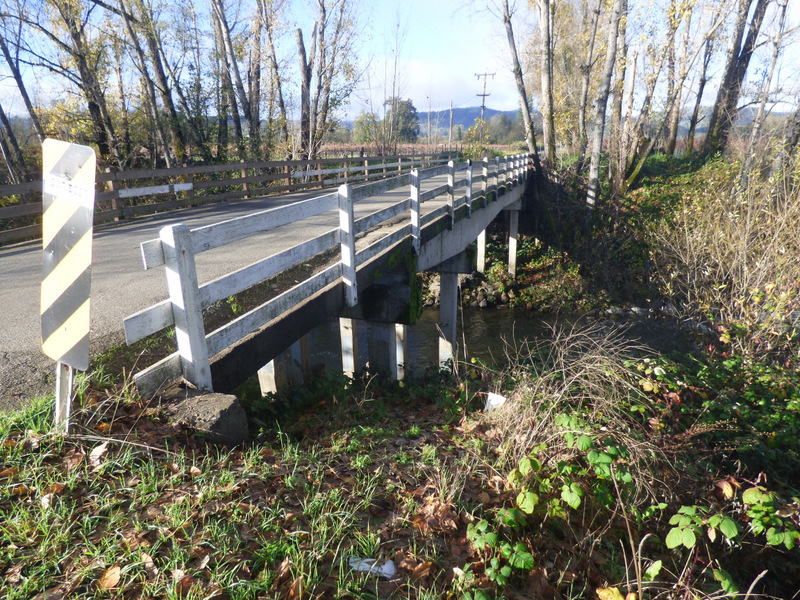 Now lets drive north on East Road and hook a left into Potter Valley, where on Main Street we find this splendid small bridge over the East Fork. The other side, a better shot. 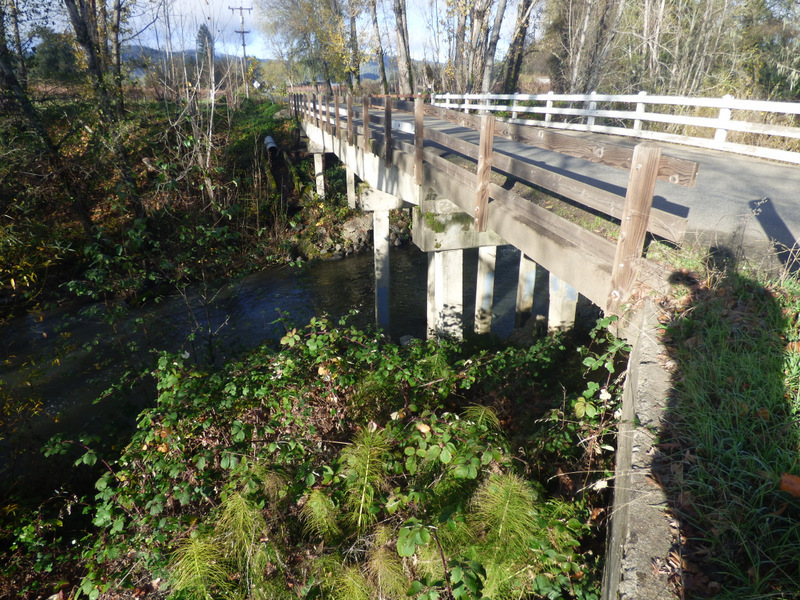 Then north on Eel River Road and off to the east on Gibson Lane for this cute little bridge. 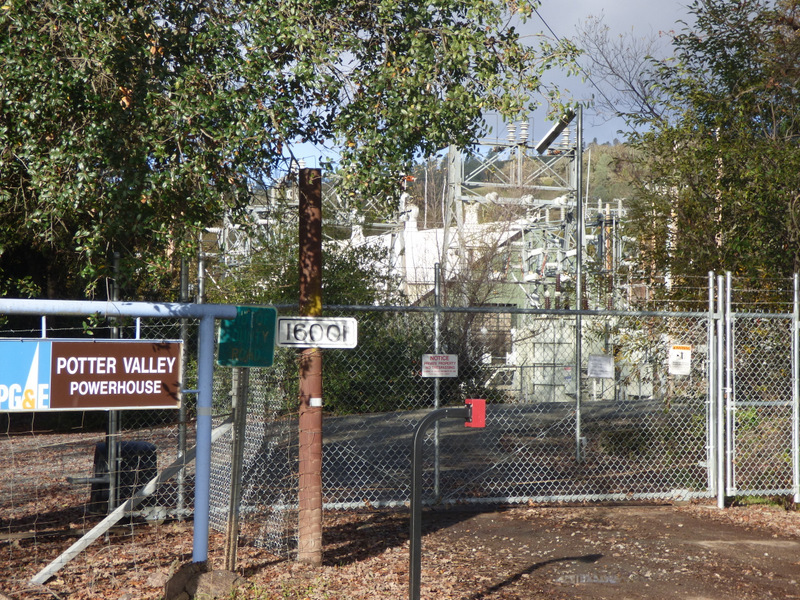 Since i was on Gibson Lane, i figured i’d take Powerhouse Road north to get a shot of the powerhouse. What powerhouse? 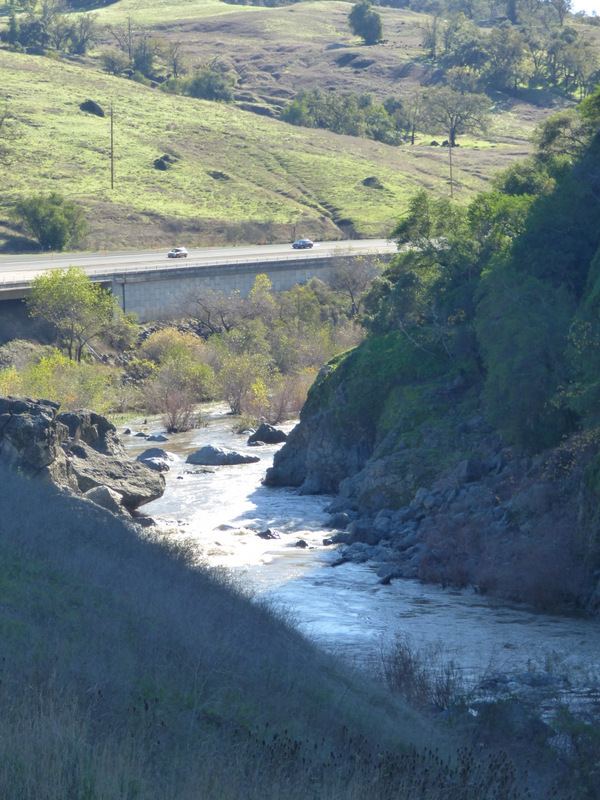 Well, that link i provided on the Potter Valley Project tells the full story, but the short version is that back in 1900 the Russian River Valley was already running short of water, so somebody figured out that all they had to do was put a dam on the Eel River and stick a mile-long, eight-foot-diameter straw under the watershed divide to draw lots of water into the Russian River valley. 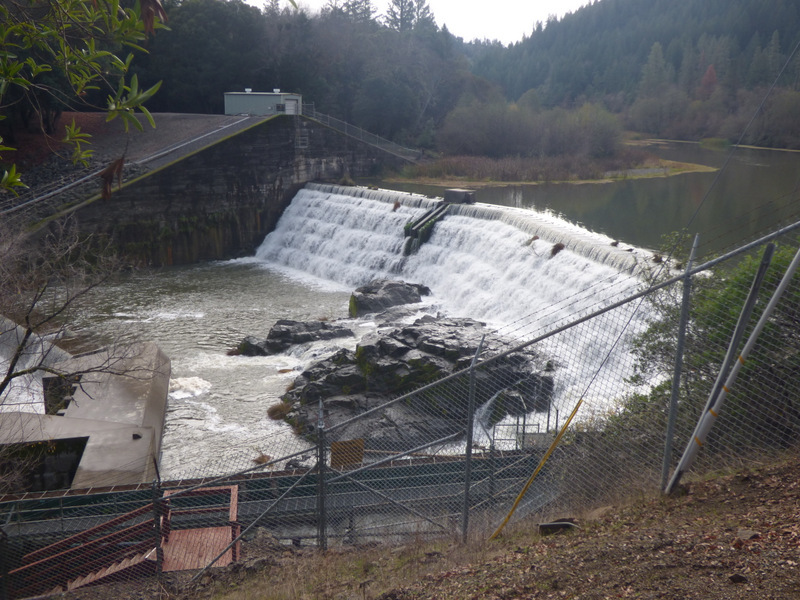 And since the Eel River was some 450 feet higher than the upper end of the East Fork of the Russian River, there’d be enough head at the bottom end of the straw to generate some electricity. Thus, the powerhouse and my excursion to see it. Alas, there was an unfriendly gate, and i couldn’t get onto the grounds, so here’s all we can see of the powerhouse. On the other hand, the countryside up there is lovely. 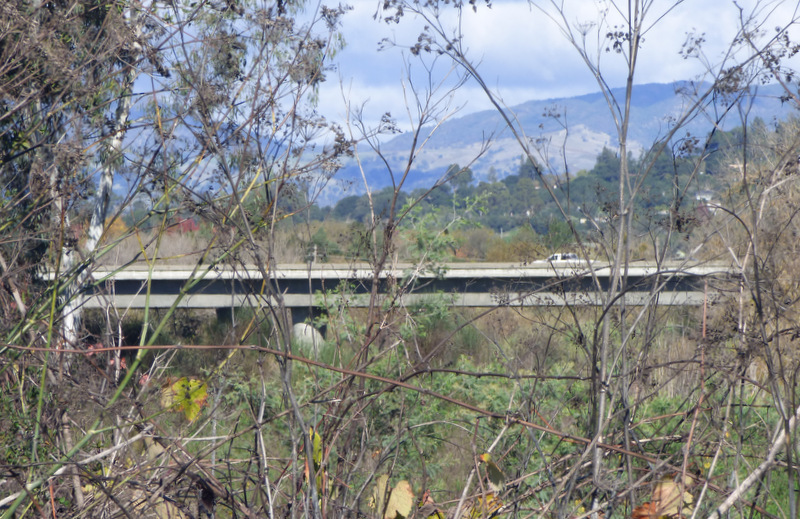 Then i wriggled up Eel River Road over the divide and down to the river, where i was fortunate to find a vantage from which to shoot the Cape Horn Dam. 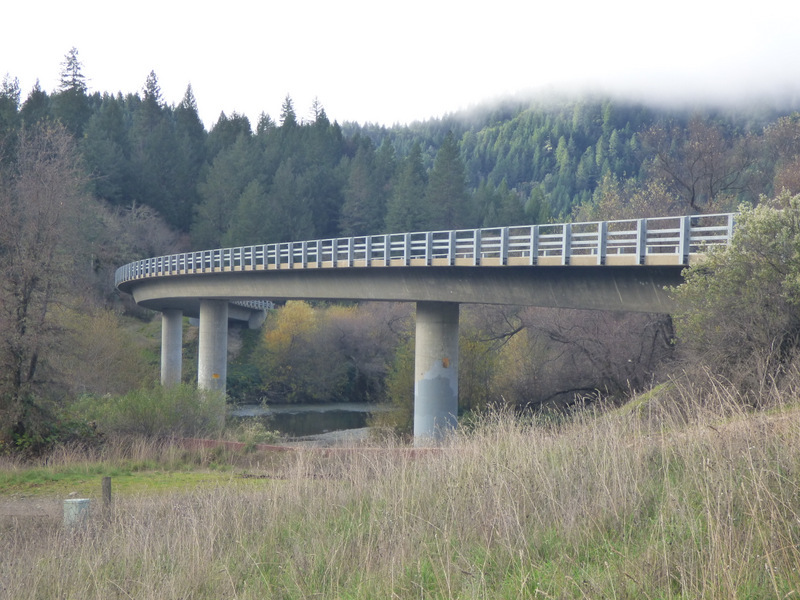 And since it was only five miles out of the way, i went ahead and got this shot of a bridge over the Eel River. 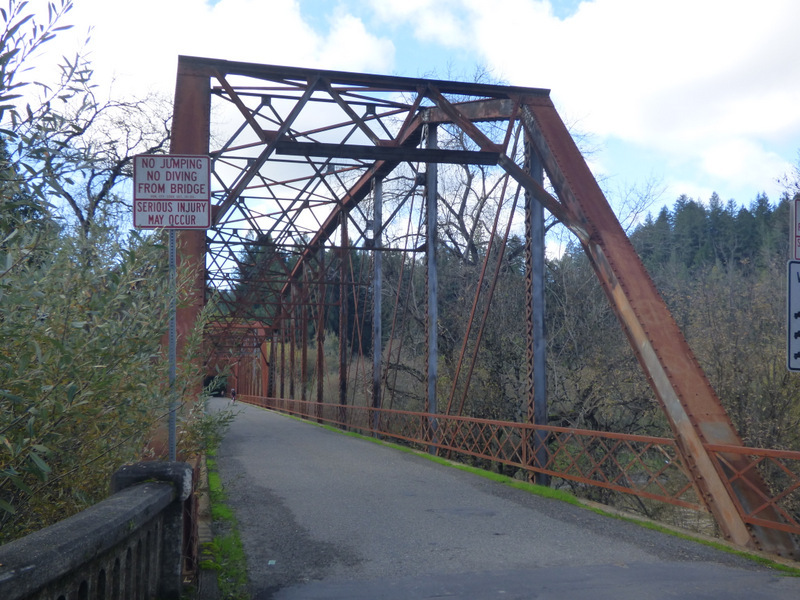 That’s it for the bridges and points of interest for the East Fork of the Russian River. 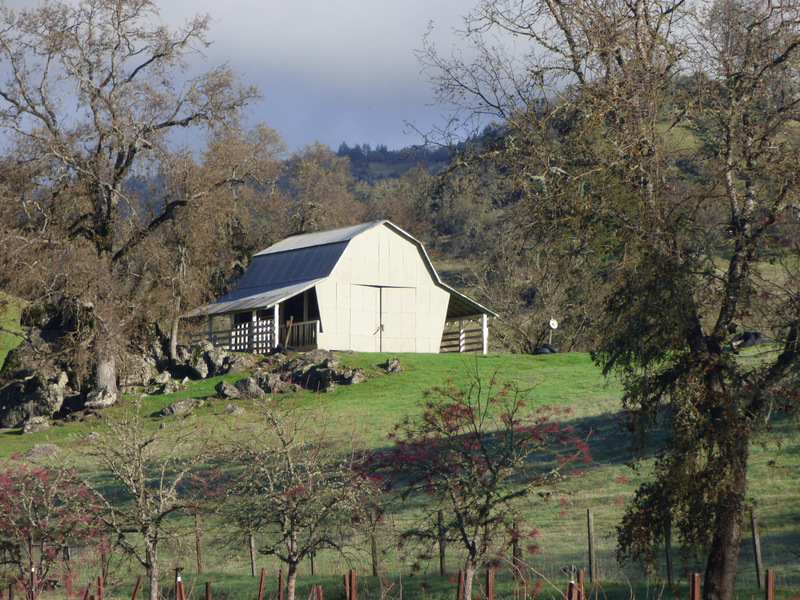 On the way home, i discovered that that burger joint on the right side at the south end of Hopland has, alas, a new cook. 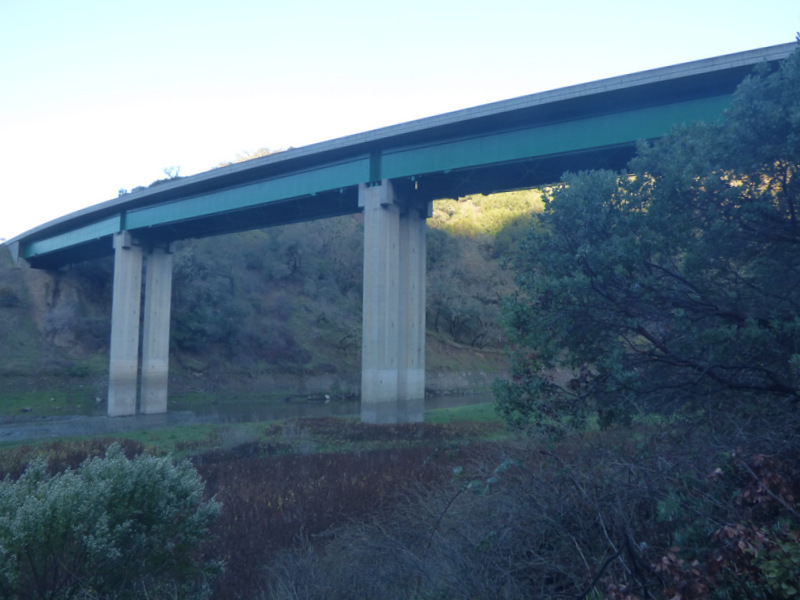 However, on this trip i was able to get a much better shot of the old bridge on US-101 south of Hopland. Not to mention these Tillandsia usneoides just hanging there where i was only moderately illegally pulled onto the shoulder. 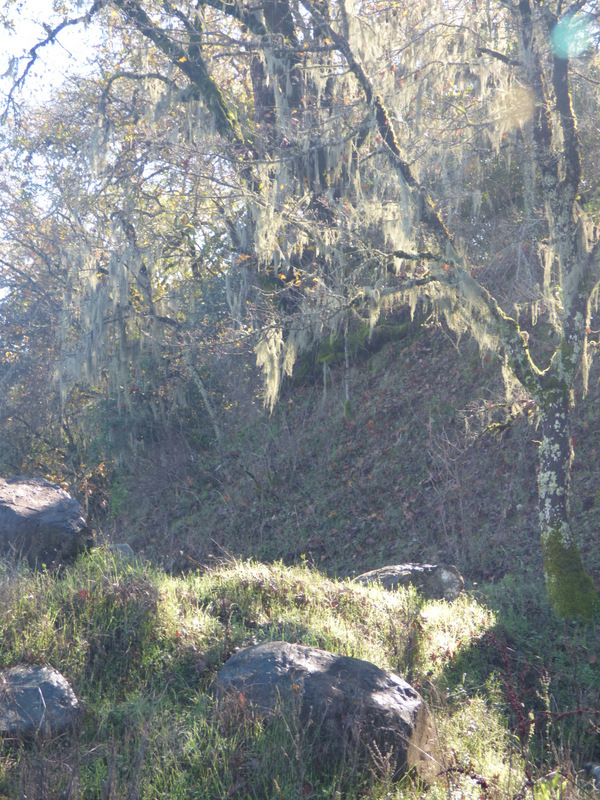 A bit farther south, i found a legal turnout from which i could get a shot of the river at the foot of the cliffs. Oh, but it was not all triumphs. 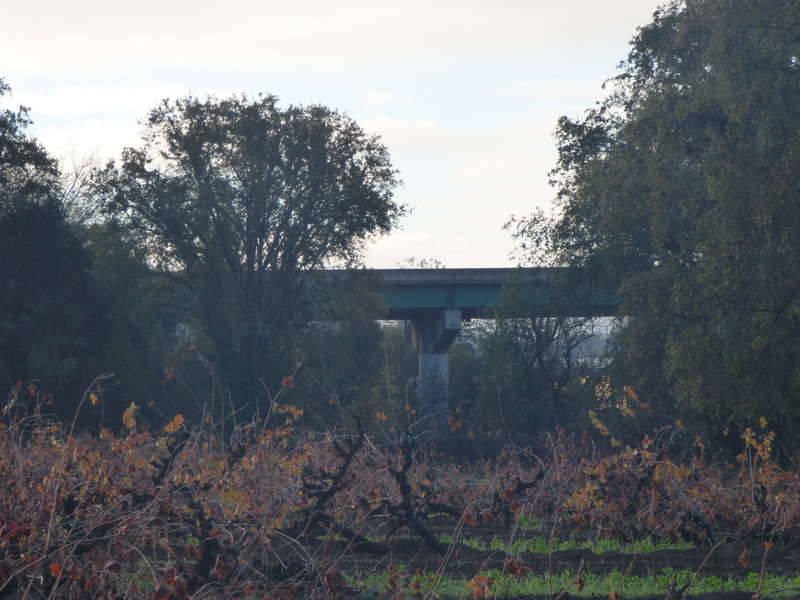 When i got down to Healdsburg to photograph that big bridge that i’d unaccountably missed in my previous excursion, i found that despite my carefully drawn map showing possible vantages, none worked out, and this was the best shot i could get. Grrr. 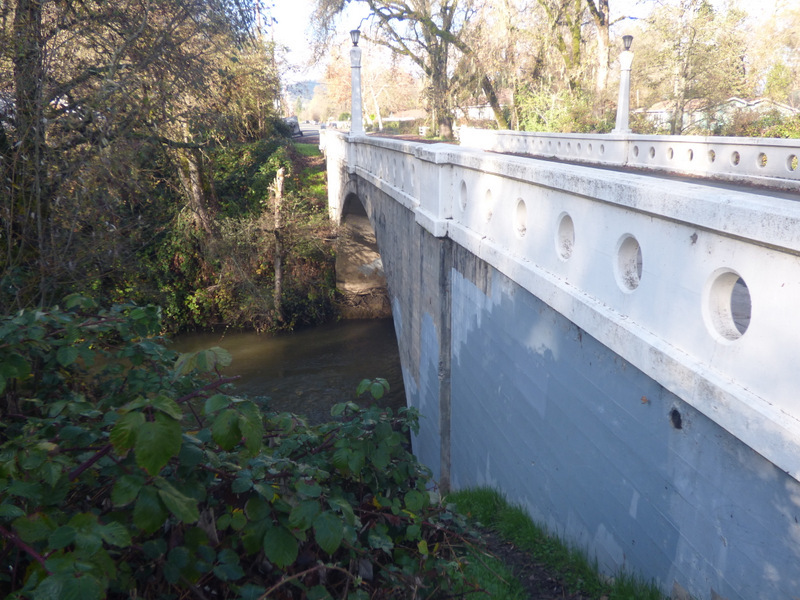 The good news is that i can make another trip to Healdsburg with the Segway in the car and use it to ride out onto the Healdsburg Memorial Bridge, which gives a great vantage. 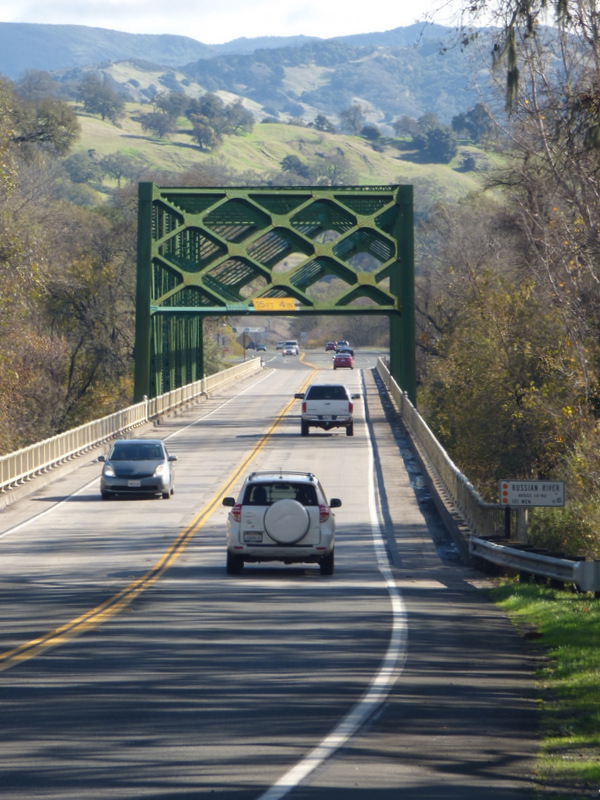 So then it was off toward Guerneville on the little back road from Healdsburg so i could stop for a better shot of the Wohler Bridge. 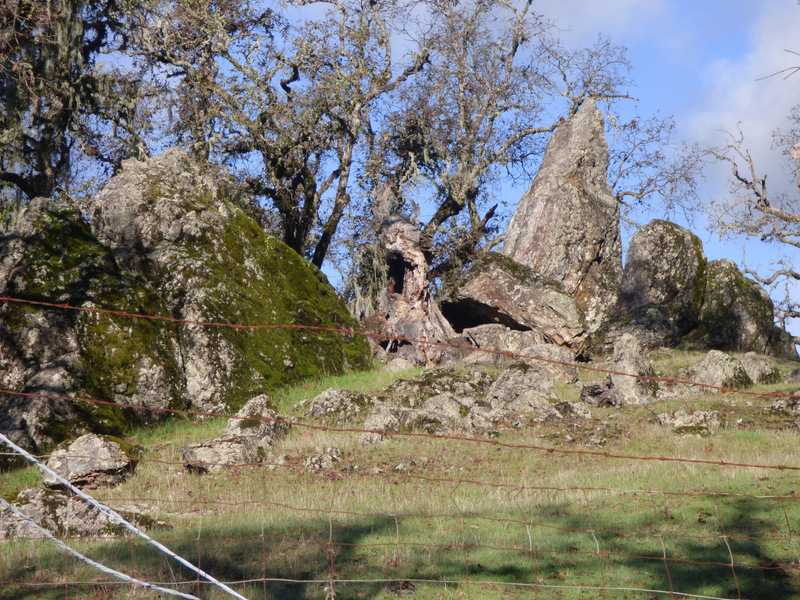 Finally, to end this post, one last scenery shot up near Porter Valley.